Angela Morley Talks ‘Making the Grade’! 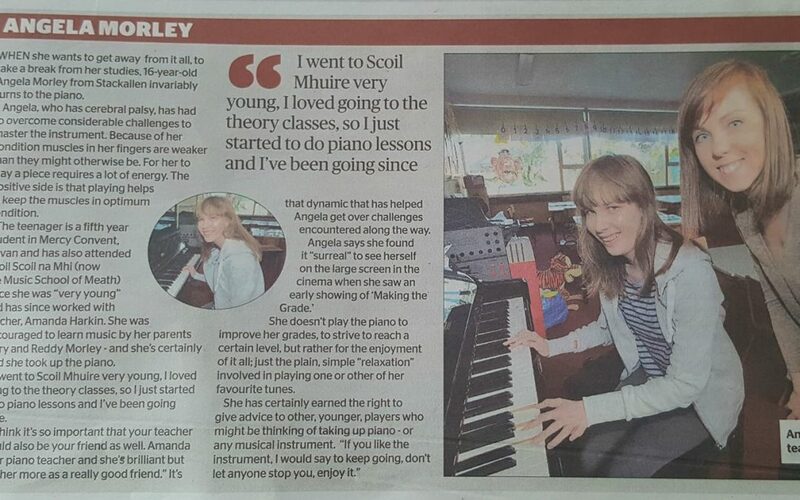 Our very own Angela Morley (5th year) features in this week’s Meath Chronicle where she talks about her passion for music! Angela features in the upcoming film ‘Making the Grade’ you can watch a trailer for the film by clicking here. In the interview, she gives some great advice to aspiring musicians: “If you like the instrument, I would say keep going, don’t let anyone stop you and enjoy it.”. Well done, Angela!